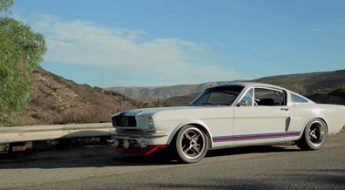 It’s been a long anticipated result but now Denice Halicki can breathe a sigh of relief after being handed victory in her appeal to the Ninth Court in the dispute with Carroll Shelby over the names ‘Eleanor’ and ‘Gone In 60 Seconds’. 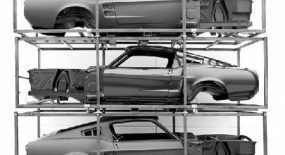 Denice Halicki has recently joined forces with Classic Recreations LLC, allowing use of the ‘Eleanor’ and Gone In 60 Seconds’ names in building the only official recreations of the movie car from the 2000 blockbuster. Damn that got me pumped up. Maybe because it’s so close to home. It’s NSW registered so i wonder where it is at. Let me get this straignt. 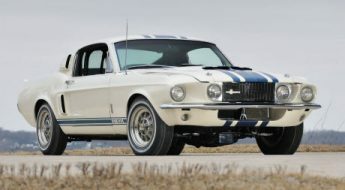 THis chick throws Carroll Shelby’s name around like the god of all muscle cars in the movie and creates such a mistique around the car that it becomse famous for being a Shelby GT500. Now that it has a name that means she can sue shelby?? Where does this chick get off?? 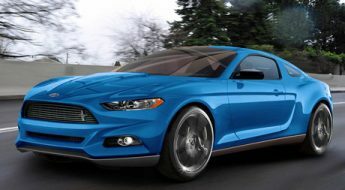 I dont care what you say but in 10 years the Real Shelby named cars and numbered will be woth the dollars and the others will always be considered just a knock off.. This woman should GET A LIFE. There are much better things to do in life then try to win frivolous lawsuits. If she wants to make quick money fast there’s always the scratch off. Its a classic car before she was driving. GET A LIFE LADY. 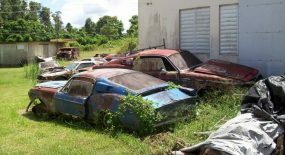 I agree with Gwyllym, “in 10 years the Real Shelby named cars and numbered will be woth the dollars and the others will always be considered just a knock off”. Maybe you all need some education in muscle cars101? 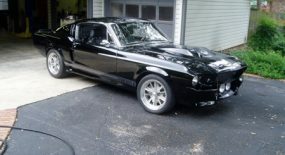 Shelby did produce a 1967 shelby GT500. 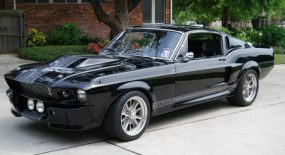 The GT500 “Eleanor” in the movie is NOT HIS CREATION! 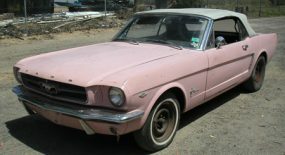 The “Eleanor” car in the movies was created by “Chip Foose”, “Halicki” and a couple others. Carrol Shelby had NADA to do with the creation of “Eleanor”. The producers of “Gone in 60 seconds” Hired “Foose” sto design the car. That front end and side exhaust on the “Eleanor” car was for the movie car. Shelby cars had a different front end and rear exhaust. Also in 1967 there were NO billet grilles produced by ANYONE! So, EVERY “Eleanor” car is a “CLONE”! If you really want to get technical in the muscle car world they would be classified as “Phantom cars” which means: “a car that never was” for instance say, a 1987 Buick Grand National convertible? Buick NEVER made this car but Ive seen a couple. They are “Phantom cars” as is “Eleanor”! Gwyllym and Skeezer are stupid as a feencepost. Denice owns the rights to the “Elanor” and “Gone In 60 Seconds” name. They are her late husbands invention. You have to pay her to use it. It’s pretty simple even morons like yourselves should be able to undestand this. I’m a female doctor and when I make enough money I’m going to own a Denice Halicki “Eleanor”, “gone in 60 seconds” muscle car. Denice Halicki looks absolutely stunning next to her Shelby GT500! Can she handle that car with the pedal floored?